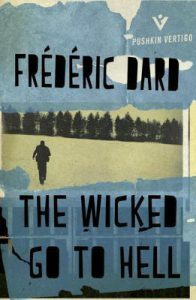 This is only one of 248 thrillers written by Frederic Dard. It’s not his best. I know that, even though I’ve read only two. As a prisoner is being tortured in an adjacent room, a secret agent is given the task of befriending an inmate to get information from him. Since the secret agent is not identified by name, the reader doesn’t know who is the agent and who is the targeted prisoner. Together they stage a bloody breakout from the prison. One of the escapees is wounded, gets better, gets worse, gets better, over and over again, complaining about it throughout the whole story. A beautiful young woman becomes stranded with them in a shack on a small island, and they each alternately lust after her and accuse the other of having bad intentions toward her, acting toward her more like insecure ten-year-old boys than the violent killers they both are. There’s violence at the end. One character shoots at another while desperately hoping he’ll miss. I didn’t get it. The action wasn’t really that exciting, nor were there any believable characters. 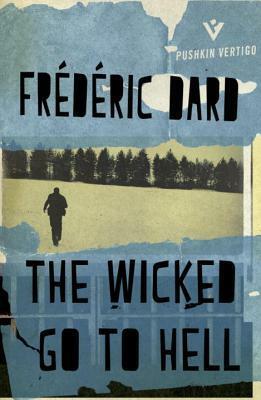 The gritty depiction of the harsh prison, with its background motif of routine torture, was the most compelling, though repulsive, part of the book.